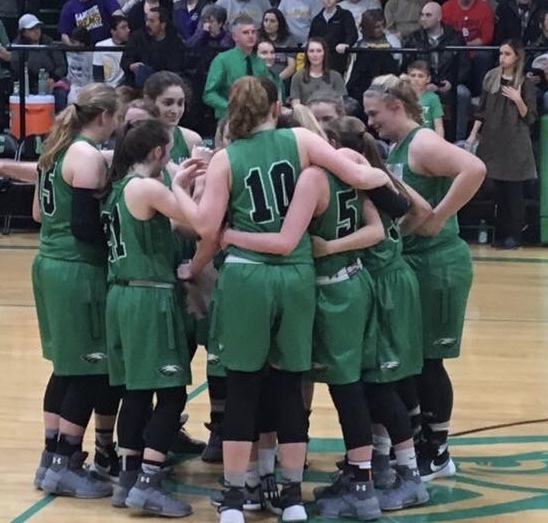 On Saturday, February 24, the Lady Eagles played in the championship game against the Sarcoxie Lady Bears. Earlier in the season the Lady Eagles took a hard fought loss to the Sarcoxie Bears. Coach Guerin wrote, “The #Elite11 came out and set the tone early that they weren’t going to back down and they definitely left it ALL on the floor tonight.” He gives the girls a game plan every night and they executed that game plan! With a win of 65-48, the Lady Eagles claimed the Class 2 District 12 Championship for the second year in a row! We hope to see everyone Wednesday, February 28, at Carthage, as the Lady Eagles take on state ranked #4 Blue Eye. Game time is set for 6:00PM!